The moon has a magical hold on most human beings. Without the moon, the very tides of the world would cease exist, and ancient civilizations have worshiped the moon as a goddess. 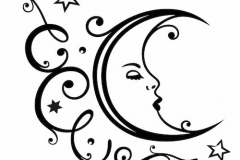 There are many variations of moon tattoos, each holding a special meaning. 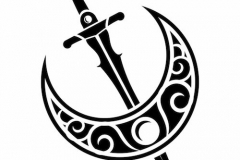 In most cultures, a moon tattoo is regarded as having some form of celestial power or influence. 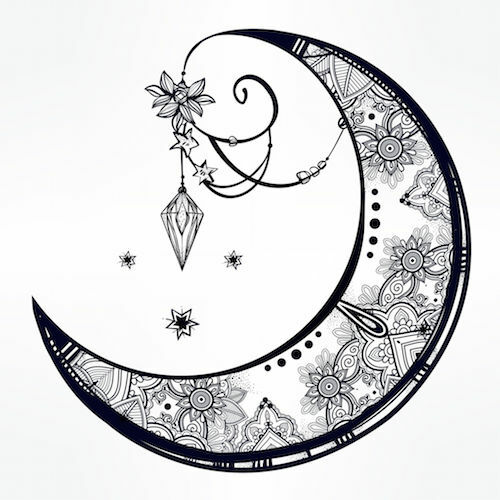 There are many variations of moon tattoos, including s half or crescent moon, full moon, red or black moon, moon with stars or moon with other symbols. Each changes the meaning of the moon tattoo. 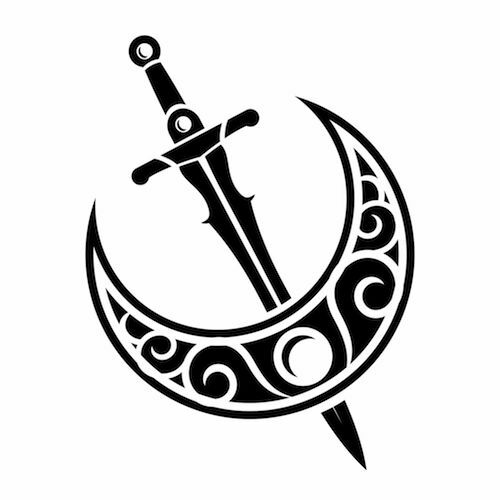 Often the moon tattoo is small in nature, but it may also be adapted to fill a larger space. 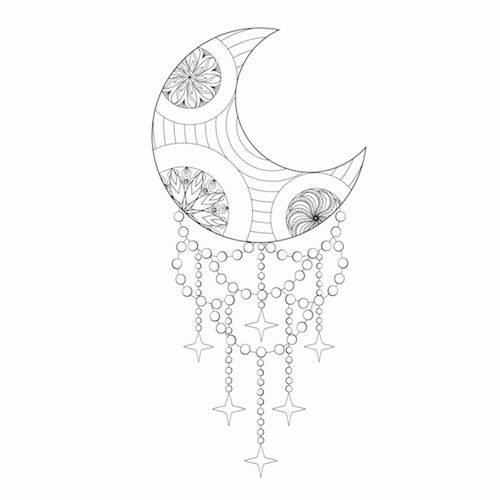 Moon tattoos come in a wide range of colors and designs, both abstract and naturalistic. What Does the Moon Tattoo Mean? 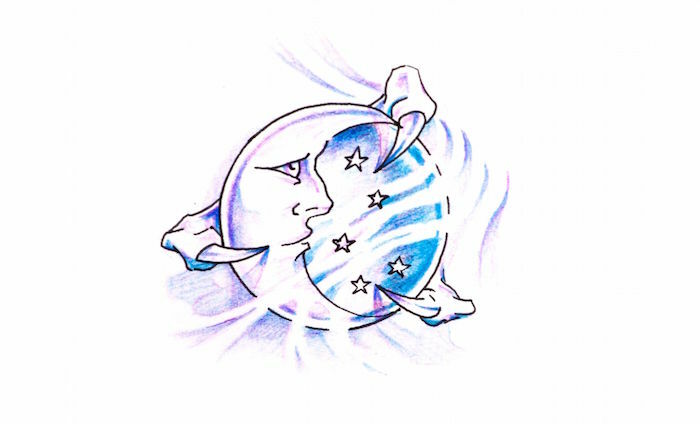 Most often, a moon tattoo symbolizes a change in one’s life or a desire to follow one’s true nature. A dark moon can indicate one’s own evil nature and serve as a reminder to walk a narrow path, while a blue moon can symbolize a rare event or even rare love. 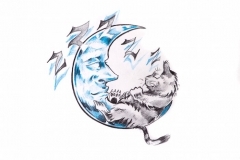 A moon and wolf tattoo may symbolize a wild spirit or a need to roam, as well as a person’s more animalistic nature. The variety of moon tattoos is truly only limited by imagination. Half Moon – A half moon is often indicative of what lies just beneath the surface. This might be your potential, love, pain or loss. A half moon represents potential and duality, as the picture is not complete or full. This leaves an openness and possibility for change either way, putting power into the wearers hands. Red Moon – A red or blood moon can be seen as a symbol of the apocalypse. 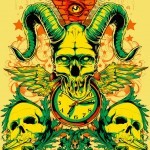 To some people, this tattoo symbolizes doom, while other people see promise and eternal bliss in this tattoo. 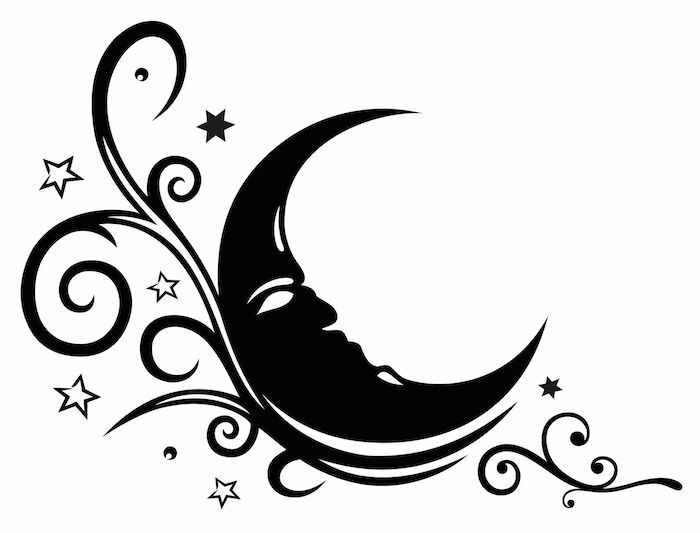 Moon and Star – Often a moon and stars tattoo represents family members, with the stars being children. However, this type of tattoo can also be symbolic of brightness in the dark or hope, a sign of the feminine or purity. 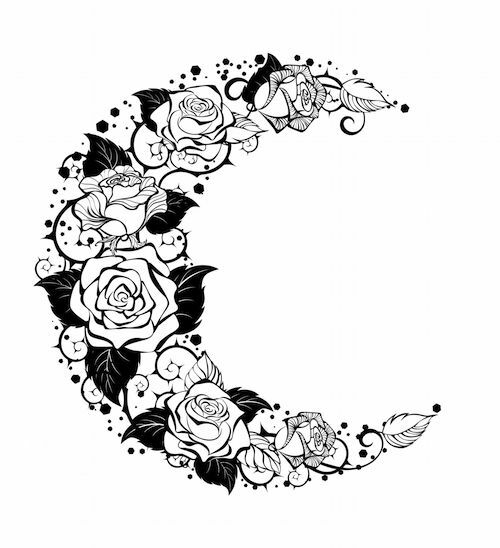 Crescent Moon Tattoo – This tattoo indicates change most often. As a crescent moon is either waxing or waning, it is moving towards becoming something else or existing fully. 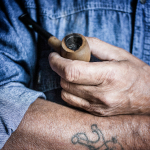 This type of tattoo can signify change and the promise of things to come. 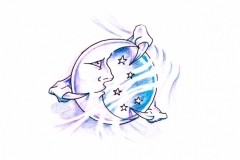 Sun and Moon Tattoo – The moon is typically a symbol of the feminine, while the sun is a symbol of the masculine. Incorporating these two celestial bodies together symbolizes duality, living in harmony or recognizing both sides within yourself. 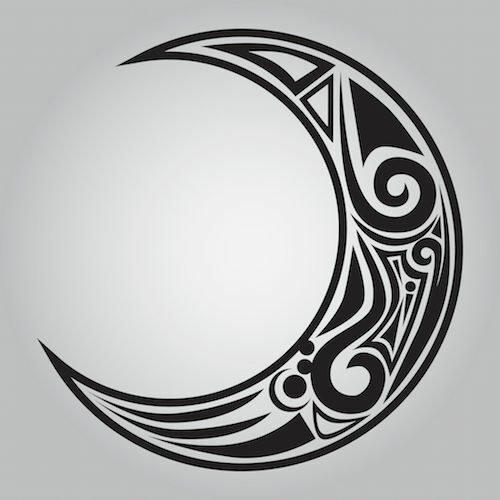 Tribal Moon Tattoo – A tribal tattoo or Native American tattoo of the moon is often indicative of ones belief system, connection with nature or respect for past ways. This type of tattoo can also symbolize fertility, feminine power, a connection to the dead and association with nature. 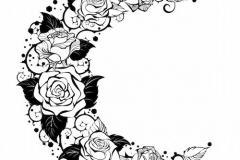 The best tattoo placement for a moon tattoo is often the back or shoulder blade, as this provides a flat, somewhat even surface for larger tattoos. 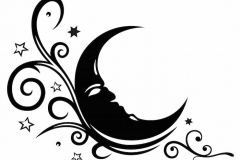 Smaller moon tattoos are found on the inner wrist, upper arm, side and even the legs at times. 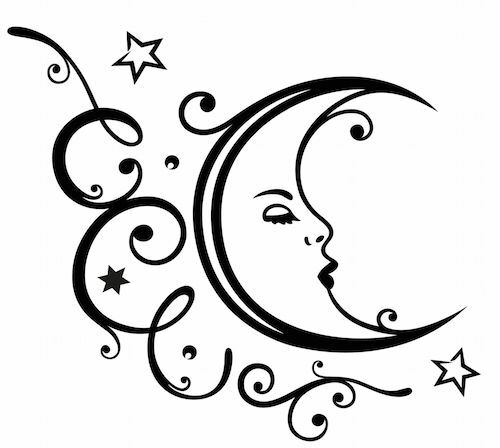 Some women choose a small moon tattoo at the nape of the neck, which can be covered by the hair. 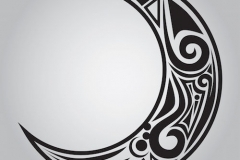 The main message a moon tattoo conveys is one of spirituality, which comes in many forms. 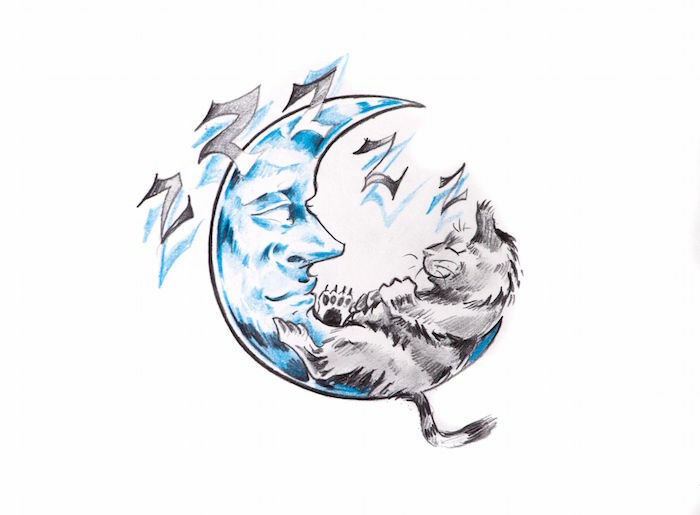 A moon tattoo indicates anything from a wild side to a personal transformation of the spirit. 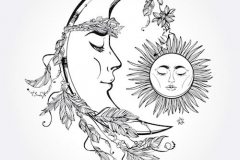 From the moon goddess Isis, to the Native American Great Woman in the moon, moon tattoos are full of varied meaning and should be thoroughly studied before a tattoo is completed. If you have a moon tattoo you are likely a highly sensitive person, seeking the truth as well as the mystical in life. You have a dual personality that at times troubles you. Perhaps you try to fit in with the hustle and bustle of the world, only to feel overwhelmed at times. However, you are most likely very good at the charade, while craving something more you may have yet to find. Overall, you are loyal, not easily fooled and long for periods of solitude and self-centering. Reasons to choose this type of tattoo include expressing yourself or beliefs in a positive, artistic way. 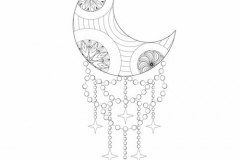 Choosing a moon tattoo is an intricate process, as there are so many variations. 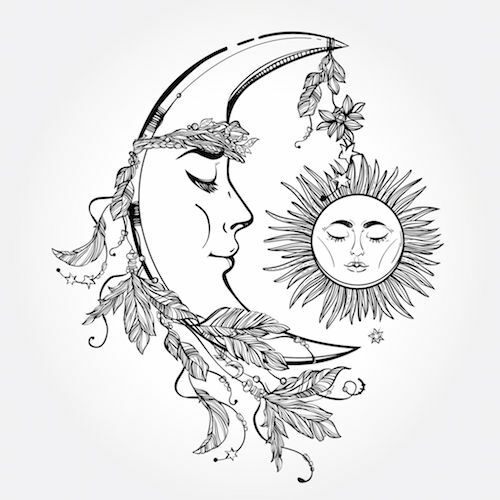 A moon tattoo should be chosen as an outlet for self expression regarding feminism, good fortune, power, acceptance, masculinity (with the sun) or as a reminder to oneself.